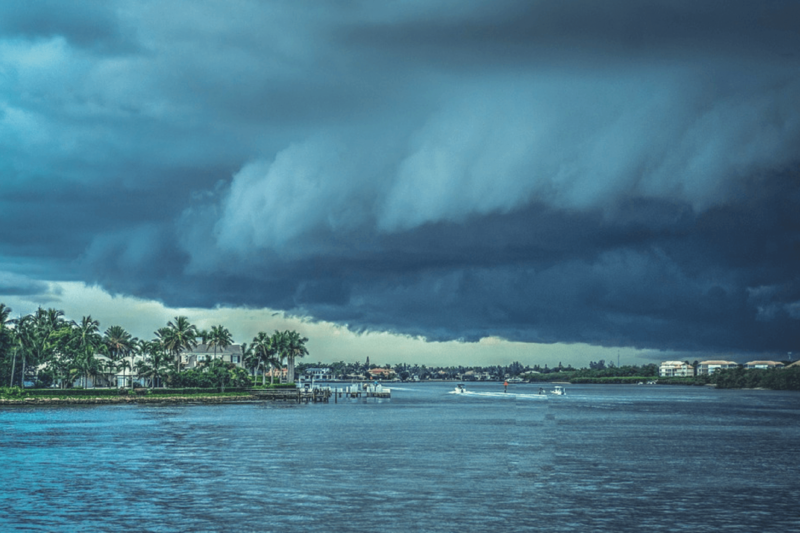 Hurricane Season: Is Your Florida Business Protected? | Charles D. Talley Jr. Insurance, Inc.
Hurricane Season: Is Your Business Protected? Hurricanes can occur at any time at any time of year, but Florida and the rest of the Atlantic region, the season begins on June 1st and last until November 30th. While hurricane season is stressful for anyone in the storm’s path, business owners have a host of additional concerns that come into play. As insurance agents in Brandon, FL, we are familiar with all the nuances of hurricane preparedness for business owners. As with many things in life, the best defense is to go on the offensive before the storm hits. Long before the threat of a hurricane is imminent, your business should have a Business Continuity Plan in place. This document, also called a Disaster Recovery Plan, should be tailored to your business’s unique needs. It should address natural disaster risks that are unique to the Tampa Bay area, and your neighborhood specifically. This should take into account everything from your flood zone, which can be found on the FEMA website, to the material comprising your office building. It should also identify critical operations and how employees and management will communicate during the disaster. Remember, this plan should be shared with employees. If you discuss your hurricane preparedness plan before a storm is imminent, it will be easier for everyone to digest the information with a clear head and calm demeanor. That way, they (and you!) will be ahead of the curve if it is actually needed. When you know a storm is approaching, the active part of hurricane preparation begins. Utilize your knowledge of the storms timeline to prioritize the items on your timeline. This includes data-related preparation such as backing up all your files and uploading company information to the cloud. When this is done correctly, a company should be able to have all of its computers destroyed and still have access to all of its necessary electronic information. Last but—as any business owner knows—far from least, you must protect your financial assets. Sadly, natural disasters are a prime opportunity for theft, so this should be prevented or at least mitigated to the best of your ability. Make an inventory of your business assets, from electronics to vehicles, to merchandise and other supplies. Depending on your business, you may be able to get some of these items to a safer place. No amount of preparation can guarantee your Tampa area business will be 100% safe from Mother Nature, but you can rest assured knowing you have excellent insurance coverage. It’s a good idea to secure commercial property coverage, which would allow you to rebuild if necessary. Even if you rent your building, commercial property insurance can be purchased to protect your contents and any improvements you have made to your leased space. In some instances, wind coverage will be excluded by your carrier. In this event, you would need to purchase a separate policy to cover for the peril of wind. Flood insurance is also a necessity for most Florida businesses, especially if your business is in a Special Flood Hazard Area (SFHA). According to FEMA, “the SFHA is the area where the National Flood Insurance Program’s (NFIP) floodplain management regulations must be enforced and the area where the mandatory purchase of flood insurance applies”.1 Banks will require you to have flood insurance, if you got a loan to purchase your building and it’s located in an SFHA. If your business is severely damaged by a hurricane, you will need to spend time cleaning, repairing, and potentially rebuilding. During this time, you will also need a paycheck! Don’t forget to ask your Brandon insurance agent about Loss of Business Income coverage. This protects your business from lost income, by not being able to continue normal operations due to a covered claim. In most instances your deductible for this type of coverage is calculated in hours, not a specific dollar amount. A common deductible would be 72 hours of business interruption, before the coverage would kick in. As a business owner, you want to do everything in your power to minimize loss and restore your usual operations as quickly as possible. It’s critical to be prepared logistically and physically, and to have insurance coverage that will protect you financially. When it comes to that last item, we are happy to help. As a family-run insurance agency here in Brandon, FL, we understand the importance of your business and will do everything in our power to help you protect it. Please give us a call at 813-685-9393 or get a free quote by completing our online form. https://ctalleyins.com/wp-content/uploads/2018/09/commerical-insurance-hurricance-preparation.png 1155 1732 ctalley http://ctalleyins.com/wp-content/uploads/2018/07/Talley-Insurance-Logo-Horizontal-Transparent-e1532886916818.png ctalley2018-09-21 04:30:022018-10-25 19:56:31Hurricane Season: Is Your Business Protected?